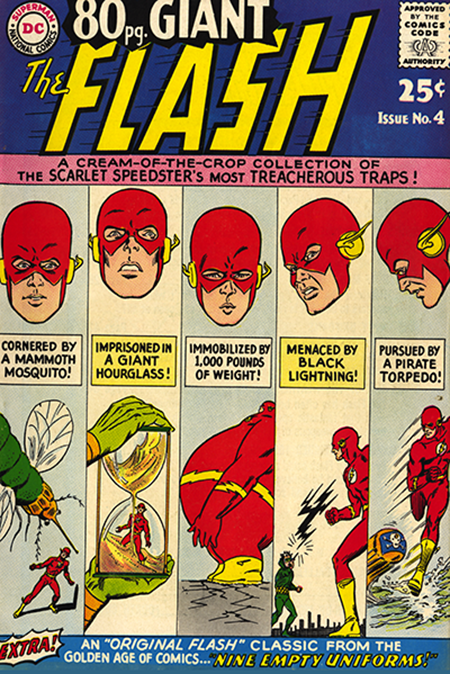 This was the second Flash Annual to appear even though it says No. 4 on the cover. It was probably a numbering representing all of the Annuals, and this was just the Flash’s turn. Don’t really know, don’t really care. All I know is that is was the second Flash Annual to roll in chock full of early Flash Silver Age (although we didn’t know it was the Silver Age) stories and one Golden Age tale, which was a bonanza for newbies. One of the reprinted stories was from my very first issue so I was no longer a newbie and on my way to becoming a jaded fan. 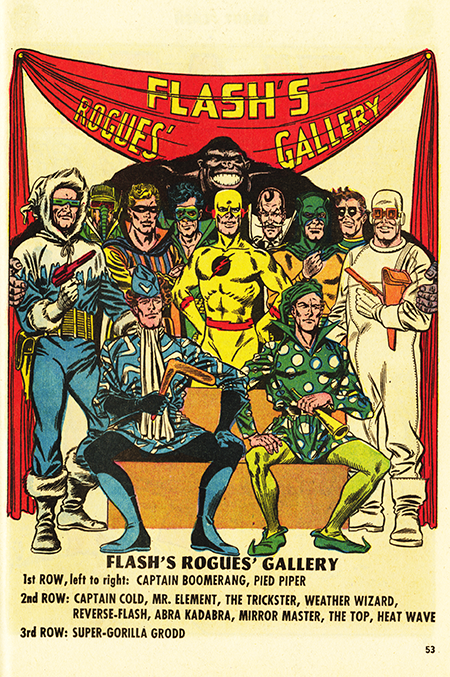 Plus, there was one additional item… a drawing of all of the Flash villains to date posing for a picture titled the Flash’s Rogues’ Gallery. It’s a beautiful Infantino/Anderson drawing. The bane of any cartoonist is to make everyone’s head the same size in a within a panel, so trust me when I say that this is a tour de force, kids.